Rouse’s Grocery and Lewis & Raulerson Celebrate 30 Years! You are here: Home / Uncategorized / Rouse’s Grocery and Lewis & Raulerson Celebrate 30 Years! Rouse’s Grocery and Lewis & Raulerson, Inc. Celebrate 30 Years of Customer Loyalty! Mickey Rouse, Stacey Rouse, Mrs. Linda Rouse, and Willie with Rouse’s Grocery pictured with Bill Raulerson, Lewis & Raulerson owner receiving an award in honor of 30 years of dedicated customer loyalty. 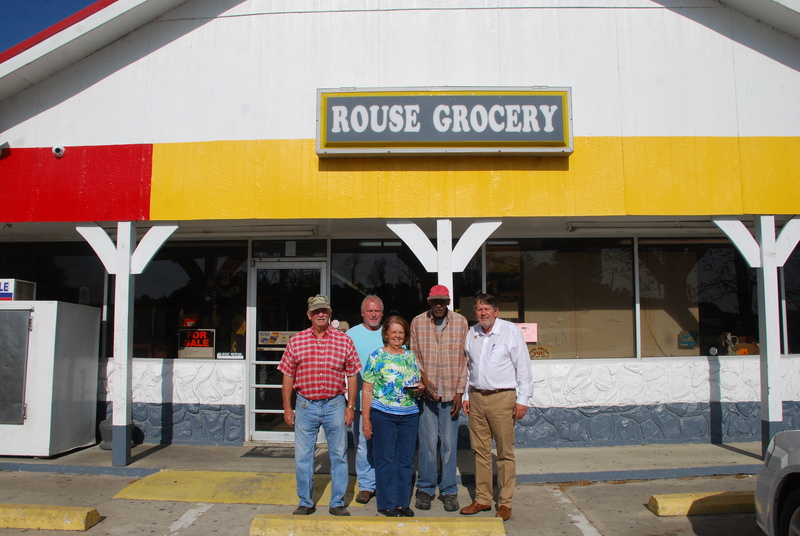 Rouse’s Grocery is a family owned business that opened its doors to the local community in 1975. They offer a variety of items with friendly customer service. They stand ready and willing to help you. “I would like to thank the Rouse family and staff for your valued friendship, business and the legacy that we have nurtured for over 30 years. Thank you for your trust and loyalty, but more importantly, I thank you for your friendship. We are proud to be associated with your name and grateful to be a valued supplier” said Bill Raulerson of Lewis & Raulerson, Inc.